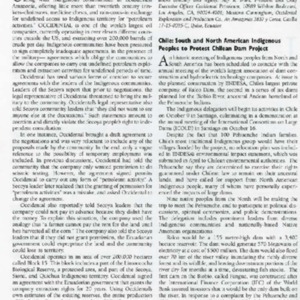 This article depicts the efforts of the indigenous peoples as they protest the building of the Chilean Dam Project. 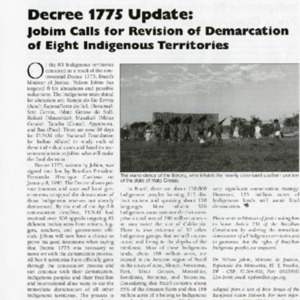 This article details the growing issue of demarcation of Indigenous lands, by the Decree 1775 by Nelson Jobim who used this decree to allow private and state institutions to use this indigenous land for economical gain. 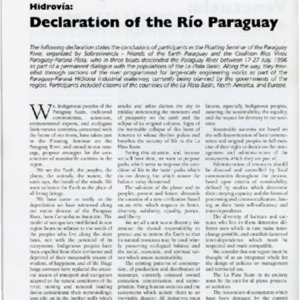 This declaration states the end of the Floating Rivers Seminar, in which indigenous peoples went down the river to protest for more sustainable measures to be taken in the construction of industrial waterways. 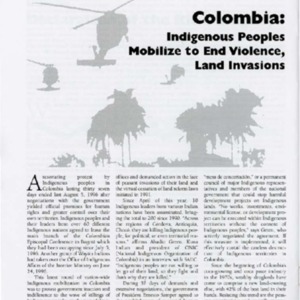 This small article details the efforts of the indigenous people of Las Hoyas county to stay on their land, while deputies of the area attempt the evict the main indigenous cultures from the area. 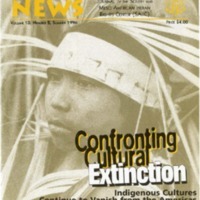 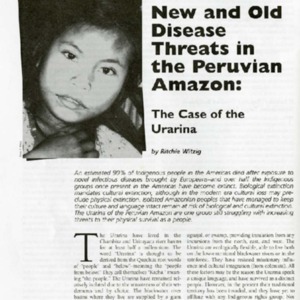 This article details the Yanomami Valley, which was under government supervision until 1996. 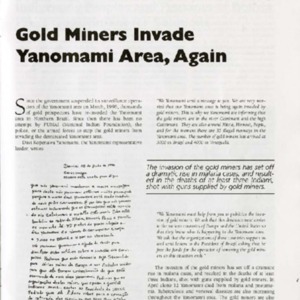 Since the supervision was stopped, numerous gold miners have come to valley seeking riches and ultimately destroying the land for the people who live on it. 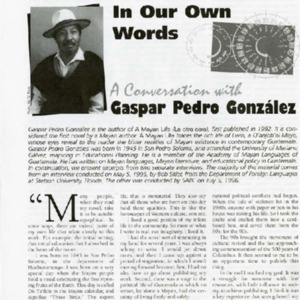 This article is an interview with the Myan author, Gaspar Pedro Gonzalez, as he details the importance of Indigenous histories being written in the native languages, as well as by a native of the culture. 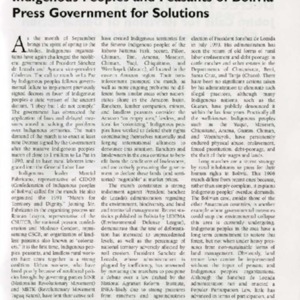 This article details the struggle of the Indigenous peoples of Bolivia as they seek to be treated with dignity in the nation they live, but separated as their own culture. 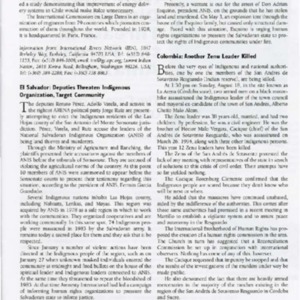 Historically, Indigenous leaders have not been elected into national government positions. 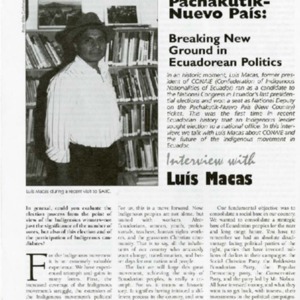 This article details the election of Luis Macas, and indigenous leader, to the national government and his fight to give indigenous peoples rights.